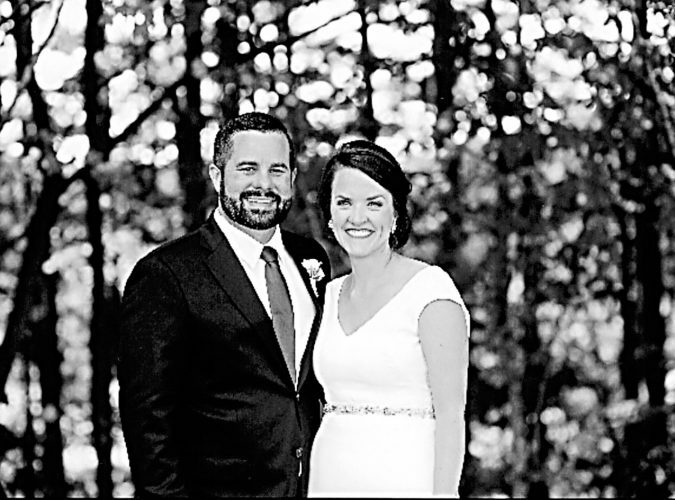 Colleen Traxler and Greg Weber exchanged wedding vows in a double-ring ceremony at 1:30 p.m. Jan. 10, 2015, at St. Mary Church, Tiffin, with the Rev. Gary Walters officiating. A reception followed the ceremony at Meadowbrook Ballroom in Bascom. The bride is the daughter of Joe and Renee Traxler of Tiffin. The groom is the son of Nancy Stover of Tiffin and Carl Weber of Cincinnati. 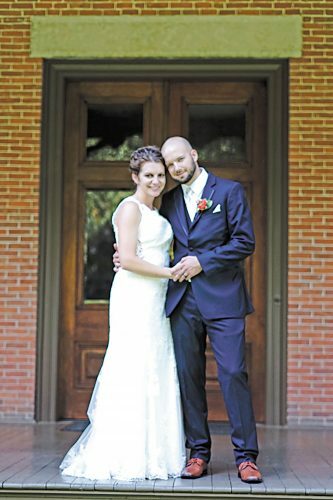 The bride’s dress was a tank style and featured a V-neck with a pleated bodice, heavily encrusted crystal accent at the waist and a full soutache skirt with a train. She carried a bouquet of crystal, silver and pearl broaches. Bridesmaids wore halter-style, floor-length, platinum dresses and carried white faux-fur muffs. 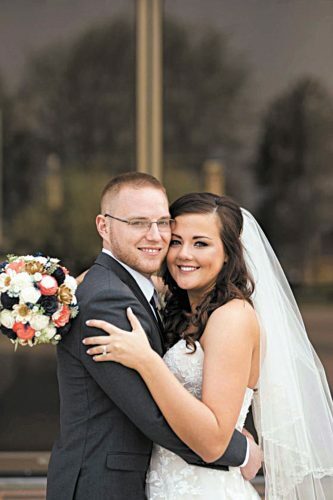 Maid of honor was Briana Zellner of Toledo, friend of the bride. Bridesmaids were Maria Diem of Nashville, Tennessee, friend of the bride; Kristin Schramm of Marietta, friend of the bride; and Amy Weber of Tiffin, sister of the groom. Groomsmen were Nick Weber of Norwalk, Matt Weber of Tiffin, Jeff Weber of Findlay, all brothers of the groom, and Jon Otto of Cincinnati, cousin of the groom. 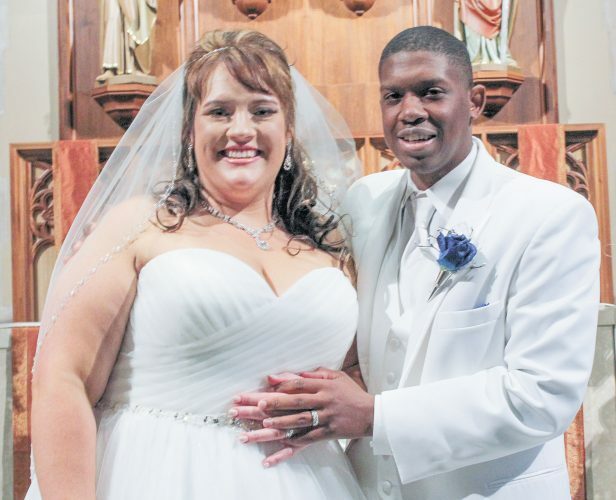 The bride graduated in 2009 from Columbian High School and in 2013 from Walsh University. She is pursuing a doctoral degree in physical therapy from Walsh University. 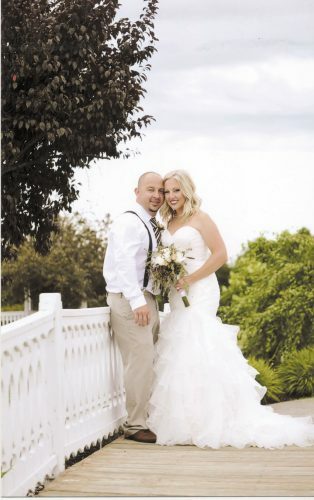 The groom graduated from Roger Bacon High School in Cincinnati and works for Best Home and Lawn in Findlay. He is the varsity assistant coach for Columbian’s boys basketball team. The couple took a honeymoon trip in May to Majestic Colonial Resort and Spa in Punta Cana, Dominican Republic.